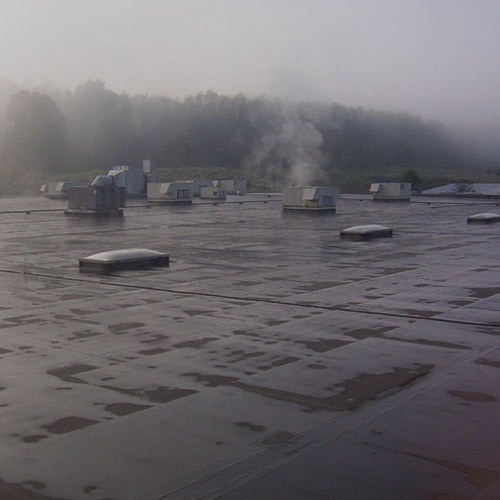 Kuzmkowski Roofing Inc. was established in 1950 by Marty Kuzmkowski in Delmont, PA. Now run by his sons Marty and John since 1980, it is a hands on business with an exceptional reputation for excellence and craftsmanship. 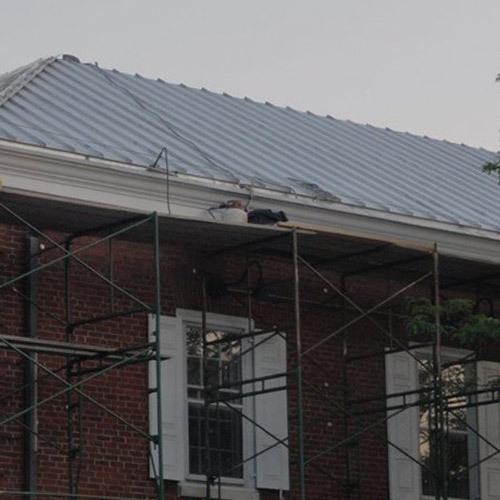 Their team of experienced and qualified roofing technicians can take any project from architectural blueprints to completion within a time frame that meets your needs. Our firm can handle any size commercial or residential applications. 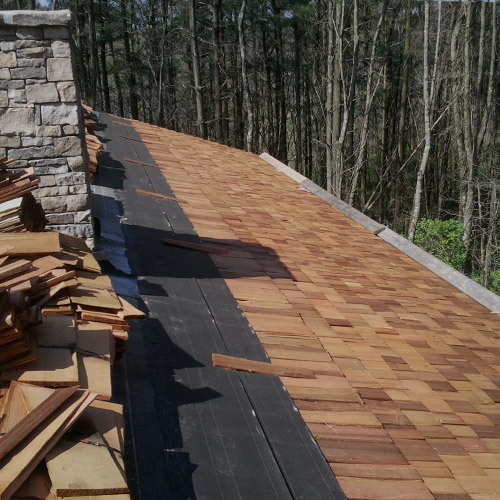 Our expertise covers several mediums including single ply, slate, tile, metal, cedar shakes, and shingles. 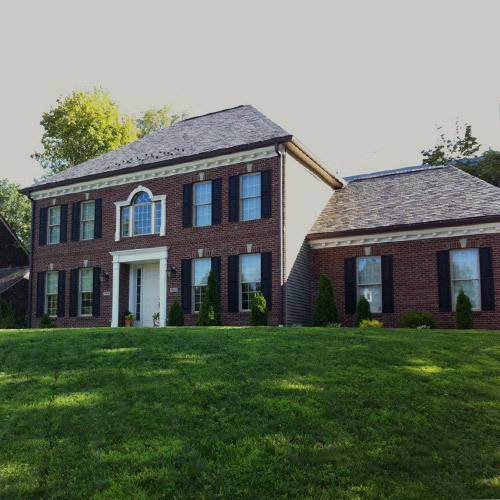 We are also experts at diagnosing and repairing existing roofs. Slate roofs originated in Europe, with the Welsh being the earliest to develop methods for quarrying and roof installations. 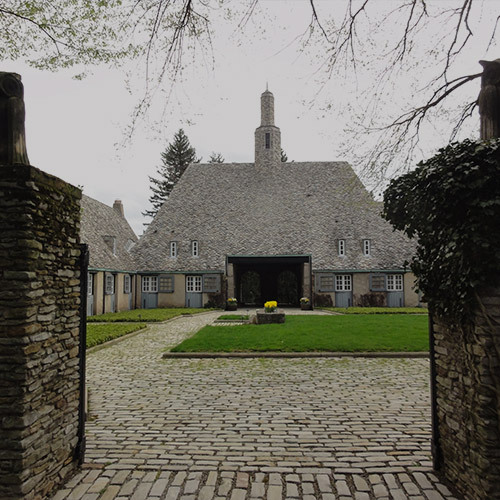 Much of the slate used in roof applications today in the United States is quarried in Vermont. It is highly regarded for its unfading and weathering colors, durability, and quality. It is produced in various sizes, shapes and thickness. 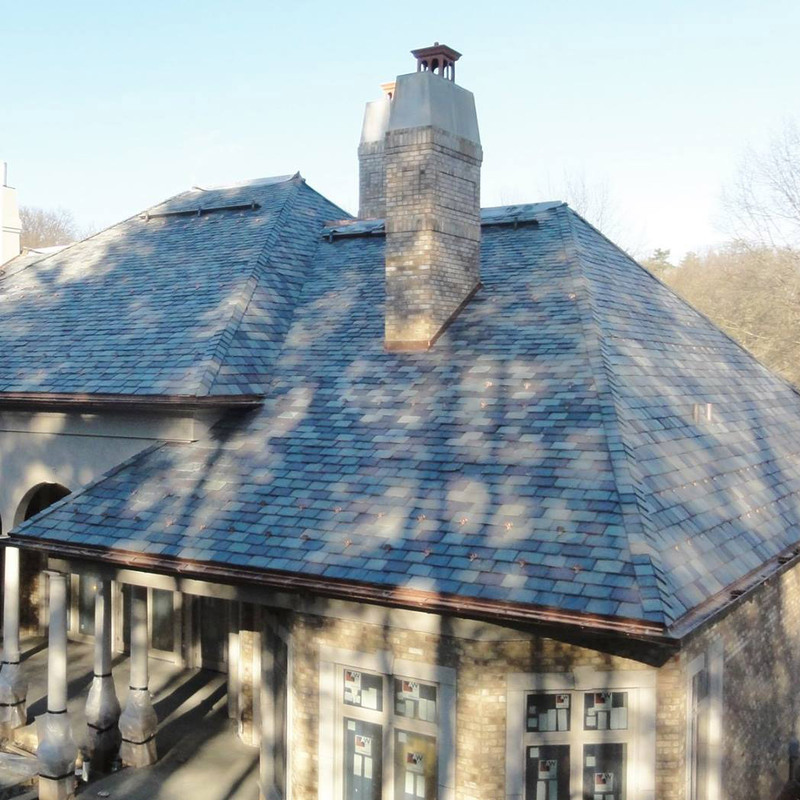 A slate roof is an excellent choice for both new construction and restoration, and may last hundreds of years. 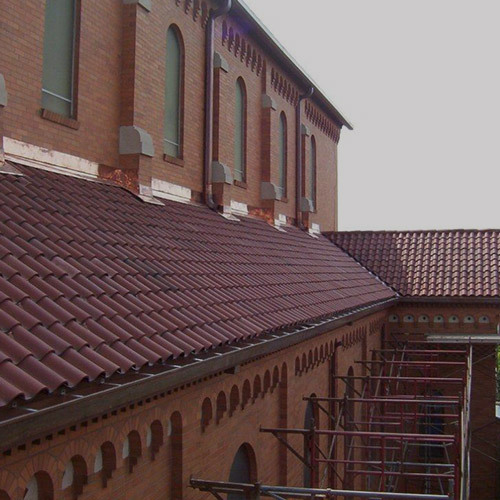 Fired clay, known as terra cotta, is a durable, enduring and aesthetically appealing material that has been used in roof construction for centuries. This material is made in a variety of shapes, sizes colors and finishes. 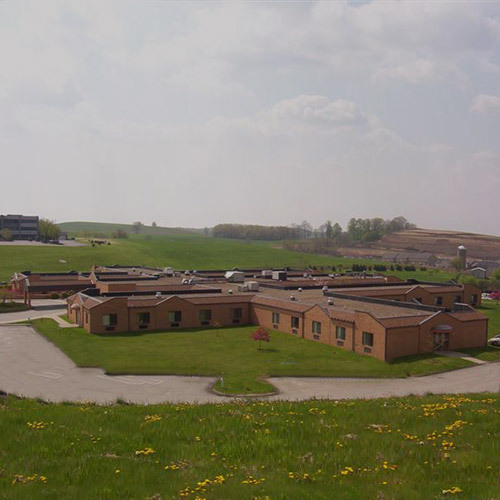 Much of the tile used in roofing is made in Ohio. 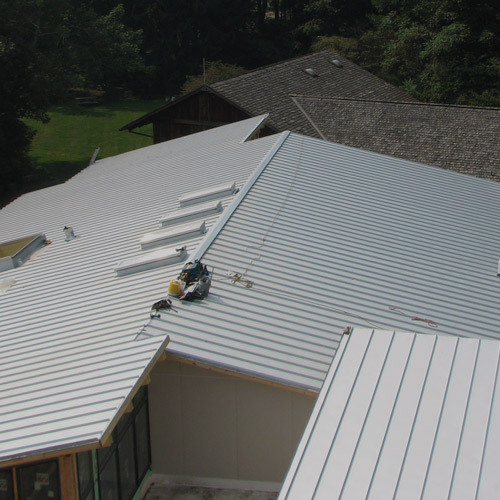 Metal roofing can be installed in a variety of styles from standing seam to shingle. 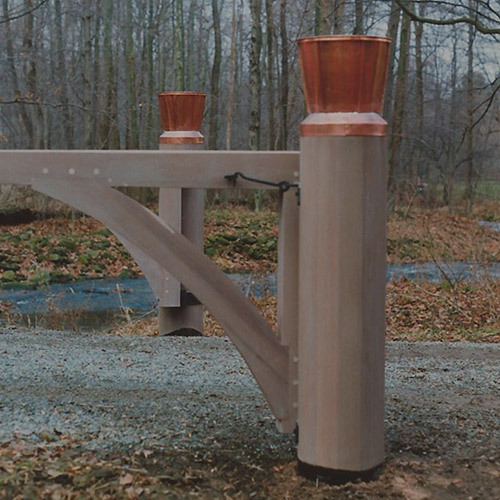 It can typically use Kynar finish pre painted steel and aluminum, copper, stainless steel, and zinc. 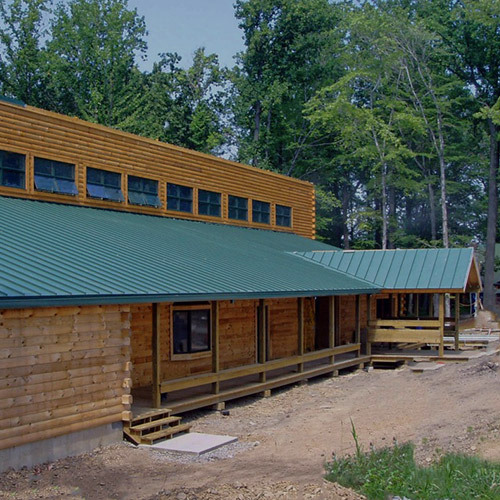 Metal panels can be formed into any length and installed using a concealed fastener method. 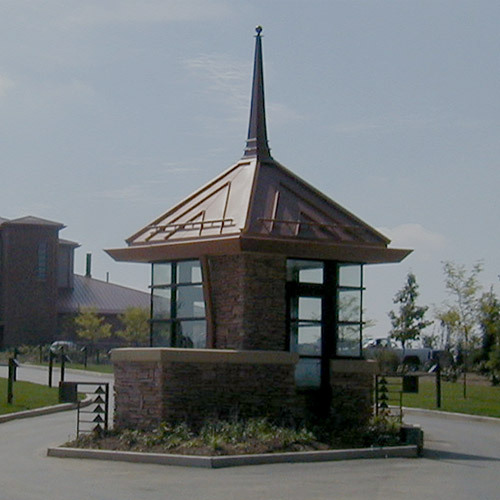 Certain specialized architectural applications require the use of copper or stainless steel because of the ability to solder these materials. 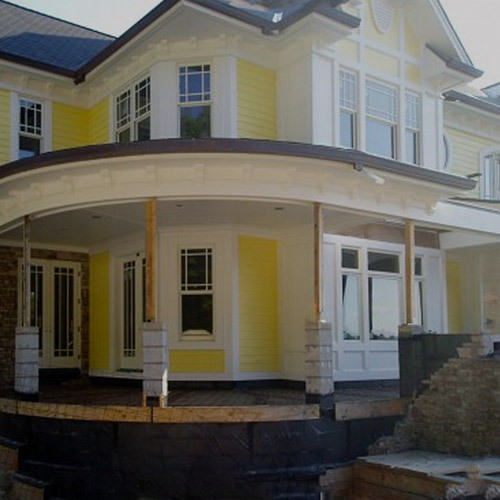 Our firm also has the ability to custom fabricate, or roll form gutter to match the particular application in custom lengths.